Altar dedicated to the victims of femicide, Mexico. The European Union and the United Nations on September 27 announced a €50m financial contribution to end femicide in Latin America. 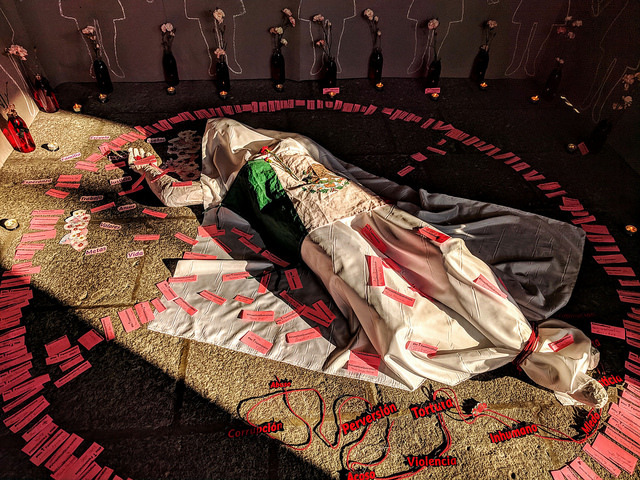 Femicide claims the lives of 12 women in Latin America every day. According to a European Commission press release, with the €50m investment, the EU-UN Spotlight Initiative will fund new and innovative programmes in Argentina, El Salvador, Guatemala, Honduras, and Mexico, to help women and girls live lives free from violence and to eradicate femicide in Latin America. According to UN Women Executive Director, Phumzile Mlambo-Ngcuka, the EU and the UN are working to galvanize broad collaboration with focused intent, across UN agencies, civil society partners and governments, so as to end violence against women and girls once and for all. The new programmes will address legislative and policy gaps, strengthen institutions, promote gender-equitable attitudes, and provide quality services for survivors and reparations for victims of violence and their families. The Spotlight Initiative will work closely with civil society, UN agencies and governments of the five programme countries to provide comprehensive, high-quality interventions that can save women and girls’ lives. A special focus will be put on reaching women and girls that are most at risk of violence and whom traditional programmes do not reach, leaving no one behind.